A few weeks ago I completed an analysis about the Boulder Soaring Season(s). Several pilots from our club commented on it, finding it both interesting and helpful. I was also asked a number of questions. One of the more interesting ones was this: can you determine from the data when there is a good time to go west (i.e. across the mountains)? The only problem was that the lists that can be downloaded from OLC do not contain triangle distances. However, since they do provide for each flight total points awarded, total distance flown, and the type of glider, there is a way to reverse engineer the triangle distance for each flight by applying the performance index for each aircraft and the standard formula that OLC uses to award points. And so I did. Here’s what I found. What Are the Best Months For Long FAI Triangles From Boulder? Source: OLC. Since 2011 (when OLC began to award extra points for FAI triangle distances), Boulder pilots flew long triangles predominantly in the months of May through September with the majority of flights in July and August. 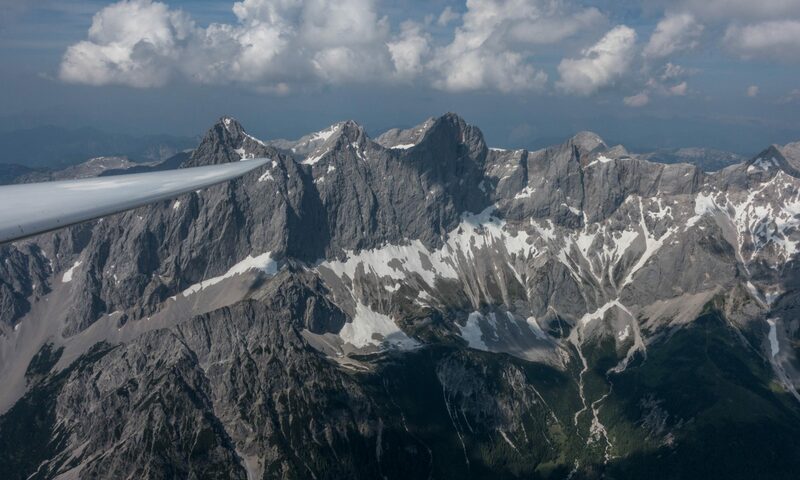 In July and August, long FAI triangles were flown from Boulder about one day in five. In May, June and September it was about one day in nine. The average number of triangle flights was also highest in July and August. Bold Boulder Triangles: Where Do Pilots Go? As mentioned above, my hypothesis was that most long FAI triangles would cross over the mountains. However, there is no way to run a simple statistical analysis across all the flights to determine this. So I took a look at each of the longest ones. Here’s a list of the longest FAI triangles flown from from Boulder since 2011. (Note: I could not include older flights in this analysis because OLC only started to award extra points for FAI triangles in 2011 and only through this ‘new’ methodology was I able to distinguish triangle flights from other flights.) Notably, each of the top 20 FAI triangles flown from Boulder is bigger than 500km. Source: OLC 2011-2017. All FAI triangle flights from Boulder with a triangle distance longer than 500 km. The following map from SeeYou depicts the flight tracks of all these flights. One can quickly see that the vast majority were towards the southwest of Boulder. Only four of the twenty flights did not cross a significant mountain range and went predominantly into the plains to the east. It’s also easy to see how significantly the Denver Class B airspace impacts route planning considerations in this area. – the Medicine Bow Mountains to the northwest of Rocky Mountains National Park along the west side of the Laramie Valley. The other major mountain ranges in Colorado (e.g. the San Juan Mountains, the Uncomphagre Plateau, The Grand Mesa, etc. ), remain for the most part out of reach if Boulder is to be the final destination at the end of the day. Farthest flight to the south – all the way to Taos, NM. I found it particularly interesting how the pilot followed the mountain ranges to fly a big triangle – without actually flying a triangle. This is also the second biggest triangle flight of them all (pilot: John Seaborn). Farthest triangle flight to the west (pilot: Bob Faris). Details of the top 20 flights (i.e. all 500+ km triangle flights from Boulder since 2011) listed from longest to shortest (I should say “least longest”) are in this pdf file.